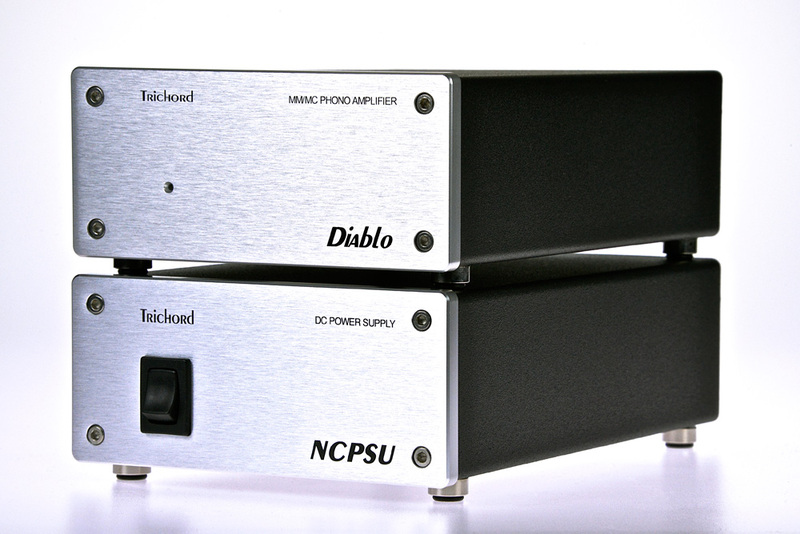 The Diablo is a high performance, audiophile grade phono amplifier, designed for ultimate transparency and realism. It will maximise the performance of a wide range of phono cartridges from ultra-low output Moving Coils to high output Moving Magnets. As with the Dino, the Diablo will accept a wide variety of MM and MC cartridges with adjustments for amplifier gain and cartridge loading on the underside of the unit. Four high speed low noise voltage regulators effectively turn this into a dual mono design in one box. The prime power supply for this unit is the ‘Never Connected’ PSU. It is however available with an in-line toroidal supply as a starting option. The circuit is signal non-inverting and constructed using high performance, audio grade bipolar and JFET operational amplifiers from Analog Devices and Linear Technology. Metal oxide resistors and ultra low impedance capacitors throughout for lowest possible noise. Four ‘state of the art’ ultra low impedance, low noise wide-band voltage regulator circuits are employed to power both channels and are largely responsible for the high sonic performance of the Diablo. The non-ferrous cabinetry is made of aluminium, a design that reduces eddy current propagation that can affect sound reproduction in subtle but deleterious ways. 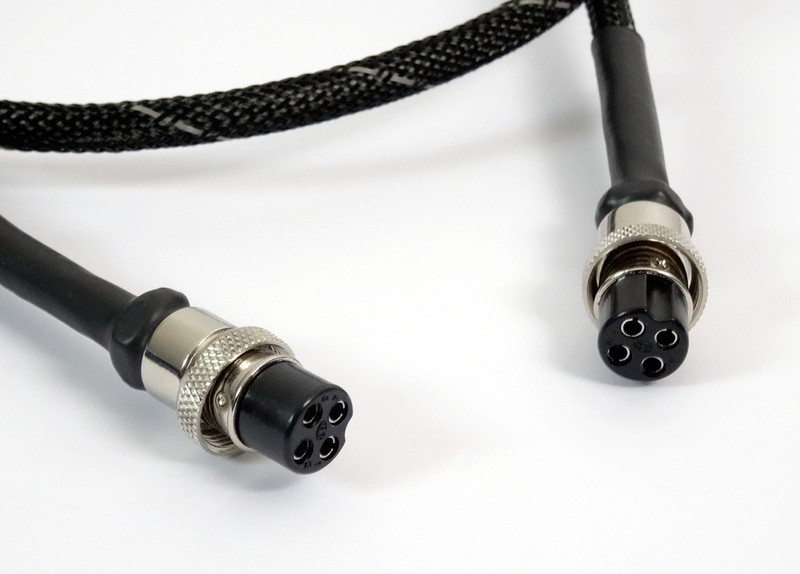 Two versions of power supply are available for the Diablo, the basic toroidal transformer power supply and the fully blown ‘Never Connected’ PSU. 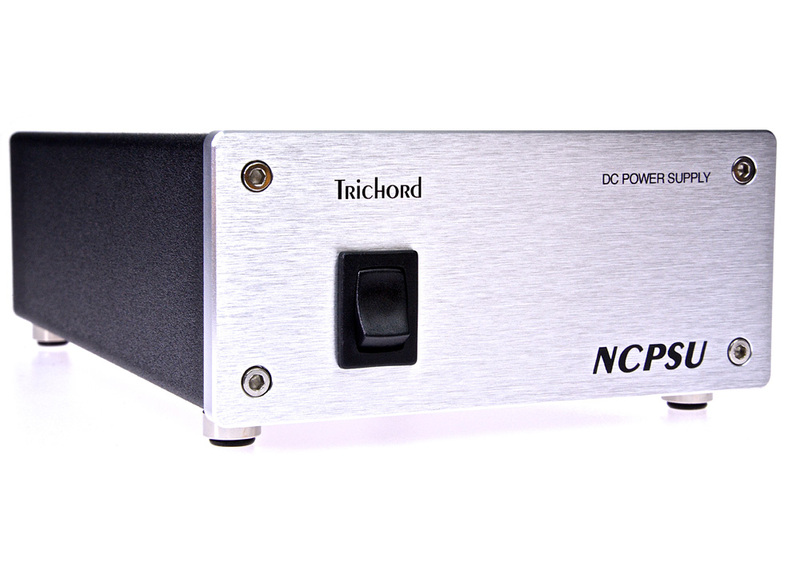 The NCPSU (Never Connected Power Supply Unit) has completely different electronics to any conventional dc power supply. Instead of an over sized toroidal transformer, there is a PCB mounting variety followed by the revolutionary noise reduction circuitry that is called ‘Never Connected’. This dramatic reduction of mains borne noise enables the Diablo phono circuit to give of its very best.